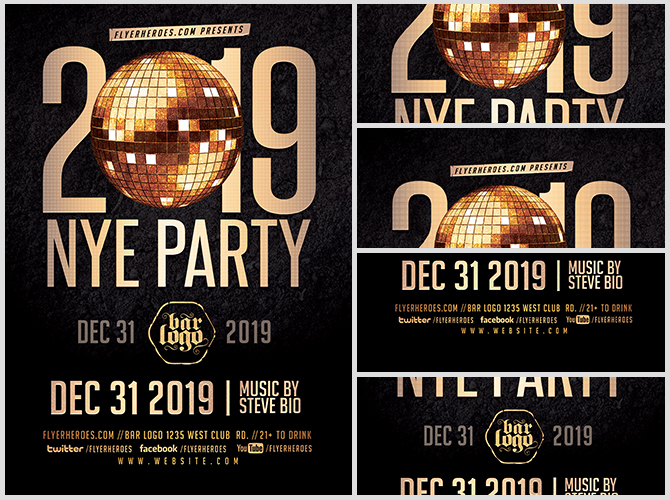 To pack your New Year’s Eve 2019 venue you need a flyer that stands out and doesn’t whisper. 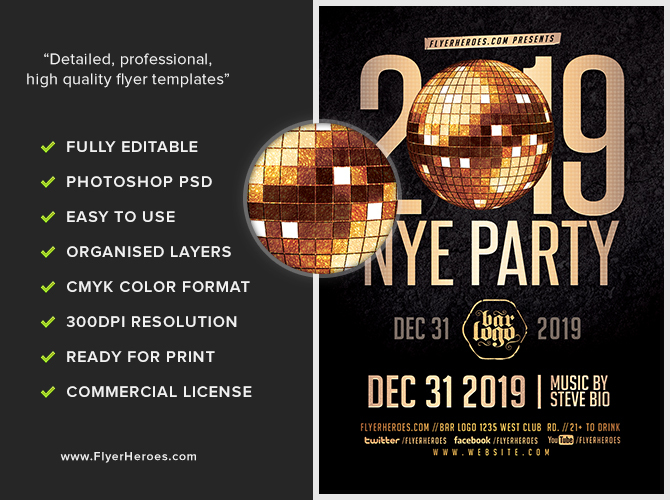 With a gleaming golden disco ball as its focal point, our professional-looking New Years Eve 2019 flyer makes a huge splash without looking tacky. Who can resist a party invitation as elegantly inviting as this? 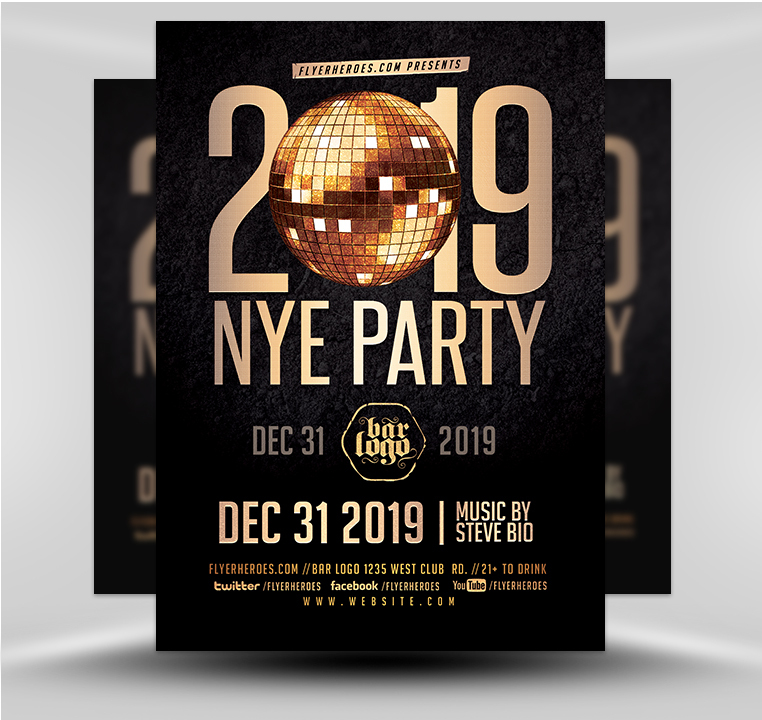 With the stunning design already created, all that remains to be done is for you to tap in detailed information about time, place, contact information before saving your file and printing out your New Years flyer. Use this flyer to promote your party high and low on social media websites, on your venue’s website, or by inserting it into a promotional message that is blasted out to everyone on your email subscription list. For an extra-special personal touch, tuck flyers into elegant gold envelopes and sent them out via express mail to everyone on your venue’s VIP list. Or, slip individual New Year’s Eve flyers into Christmas stockings (with candy canes attached!) and distribute the stockings in front of nightclub and bar entrances during the weeks before and after Christmas. 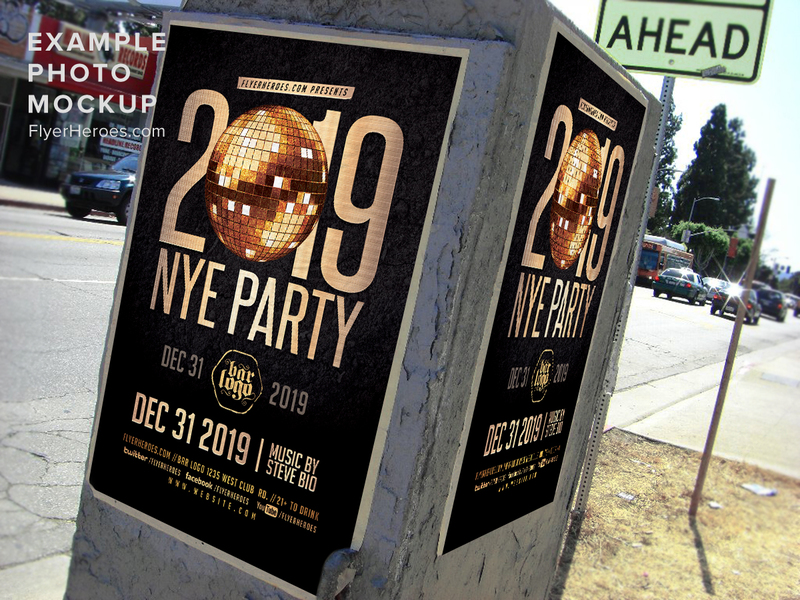 Car windshields, bulletin boards, bus shelter station displays–there is no limit to the places you can post your New Year’s 2019 flyer.